Chic On A Shoestring Decorating I'm glad you stopped by! This will always be my absolute fav Christmas pic of our home and I always share it each year. Come on in, I'd love to show my breakfast table off! Forever I have wanted Spode's Christmas Tree pattern. This year I decided it was the year to get some new Christmas plates! I picked up 6 salad plates at Belk's on Black Friday but, the very next day I found 4 at one of my fav antique places at an amazing price! Score!!! When I finished working on this tablescape I was so tickled with how it turned out! I genuinely enjoyed using all the traditional colors of Christmas, with an antique bucket tossed in for good measure! As we move to to the kitchen, I carried the reds and greens through. The kids and I drink lots of coffee and hot chocolate so our beverage station gets a real work out! This little tree is probably my favorite one. I turn it on as soon as I go to the kitchen every morning and it is the last one I turn off before we head to bed. It is a simple tree that I just dropped into a wine bucket. True story, Honey and the boys kept asking when they could dive into the cookies and doughnuts. They usually stay filled and they aren't good at waiting! 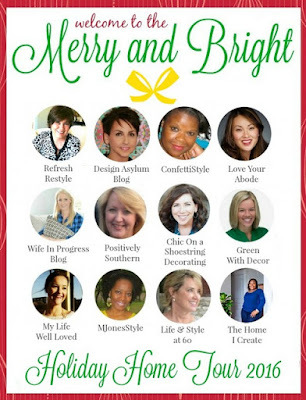 Be sure and come back next Tuesday for our final installment of Merry & Bright! There is no doubt that Life and Style at 60 has something completely fabulous to share so hop on over! Tamara, I love your kitchen! You've added Christmas cheer throughout and look at those perfectly stacked mint creamed cookies! I know they disappear like magic around your place. Spode Christmas plates have always been a favorite of mine. So lovely my love! So beautiful Tamyra. Spode dinnerware never goes out of style and it looks so great with your decor. And that bucket and candlesticks in the center of the table...I'm all heart eyes for those. Beautiful all around. Everything looks wonderful. I love the bucket that the poinsettias are in. I spied a gold mirror in the background. I have the same one. Looks great!! Love all the small touches! 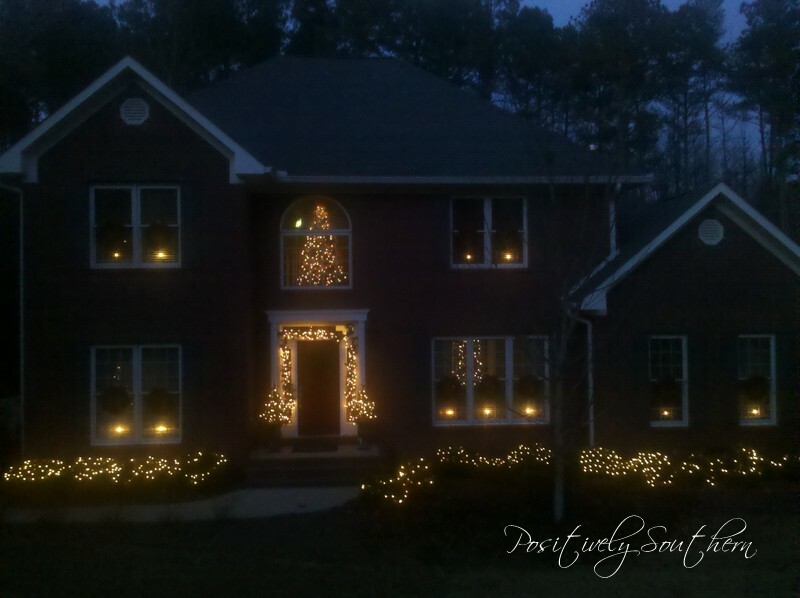 Tamyra your home is so gracious and beautifully decorated for the holidays. As a blue and white collector, I love your pieces in the kitchen! And what a fun beverage station! Love it all! Your kitchen is so gorgeous, I love it! And your table looks so festive!